Three Kings sound like an old 45 found in the bottom of an abandoned shed. So real you can practically hear the record crackle and the needle pop when they are onstage. Shut your eyes, one minute you’re in Louisiana the next The Windy City as the Three Kings take you hostage on a dangerous joy ride through the backroads of American roots music. 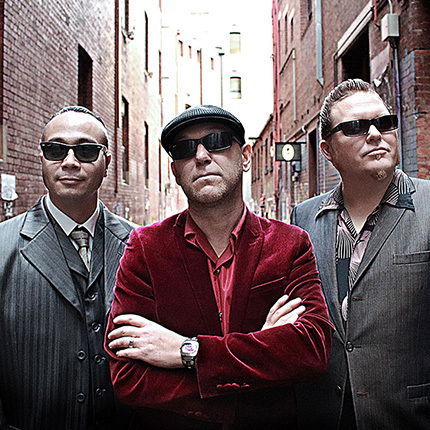 Officially formed in 2011 by Ian Collard (vocals, guitar, harmonica), Benny Peters (vocals and guitar), and Jason Liu Soon (drums), Three Kings’ self titled debut album took out the award for best blues CD in The Age Victorian music awards only a fortnight after release. The album entered the Australian Blues and Roots Airplay Chart at number two before shooting up to first place. Their 2nd “Here It Is” released in 2015 followed suit receiving rave reviews. We are elated that this Melbourne Blues Supergroup is joining us in the Bush and we are certain their hard hitting, greasy style of music will get the dust moving under the feet of our crowd.